9 tees to 4 baskets. Practice course - bring map. From I-5 Southbound; exit #135 / WA-167 N / Puyallup / Portland Ave. onto E Bay St. toward WA-167 N / Puyallup. Continue on E. 28th St. toward WA-167 N / Puyallup, Continue on Pioneer Way E (WA-167). Bear right on E. Grandview Ave. (Grandview is the first sharp right, just past the casino entrance). Turn right on E. Wright Ave. Left on E Roosevelt Ave to the park on the left, just past Roosevelt Elementary School. 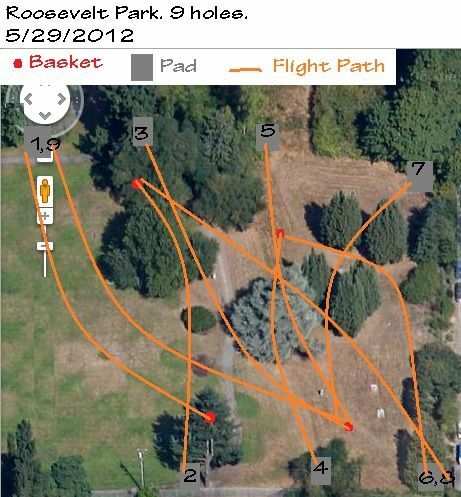 Have you played at Roosevelt Park Disc Golf Course? Be the first person to review this course!